He may represent a slightly smaller fighting force but Character Option’s HMAF Royal Marines Commando is not outgunned in the detail department. Since Hasbro stood down their military-style figures in favour of ‘action adventure’ characters a massive gap has opened in the toy market. Step forward British toy company the Character Group. 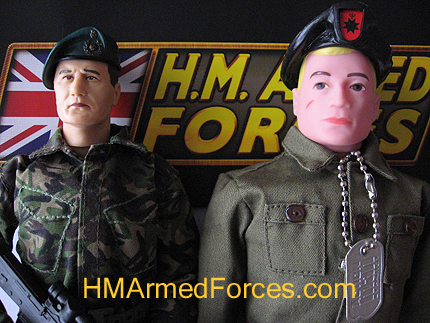 Opening up a new front with their HM Armed Forces toys and figures Character are raising the standard for a whole new generation of toy fans. Commercially far outgunned but lacking nothing in skill and bravery a crack unit of around 150 Character employees are bravely facing up to the Hasbro challenge.